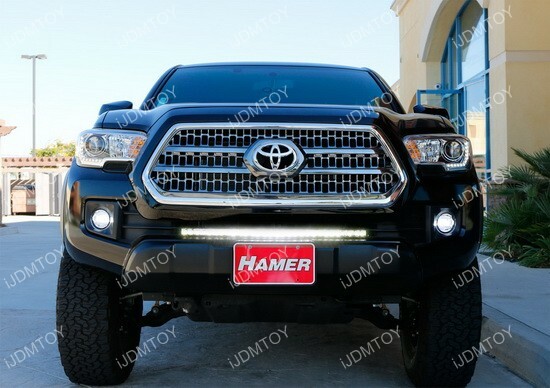 For drivers who hate the thought of modification, this Toyota Tacoma LED Light Bar assembly actually comes with specially designed brackets so that you won’t need to modify the truck to install the LED light bar. 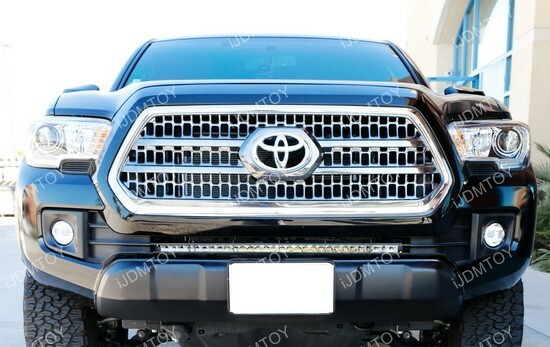 There is no drilling and no cutting so that your Tacoma will remain in original condition. 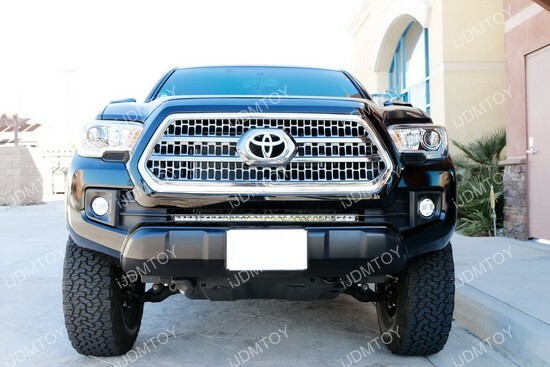 All you need to do is directly mount to the factory bolts inside of the lower bumper grille for a direct and easy bolt on installation. 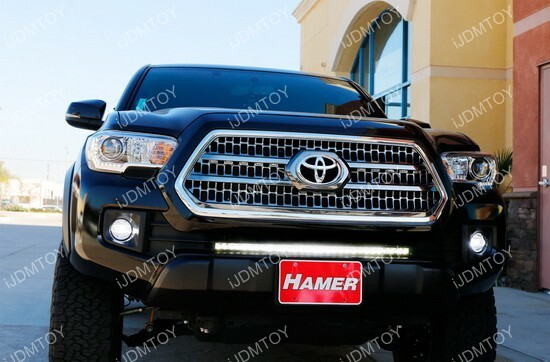 This entry was posted in - LED & HID Updates, Toyota and tagged assembly, iJDMTOY, JDM, LED, Light bar, Off Road, Off Roading, Tacoma, Toyota, truck LED, Truck Lights, Trucks by Shari. Bookmark the permalink.